The Chaucer ideal of a Roman priest marrying, and aiding Christian dissidents in the time of Claudius the second is sort of wonderful. Until you get to the end and read where he gets beat and stoned to death for his efforts. 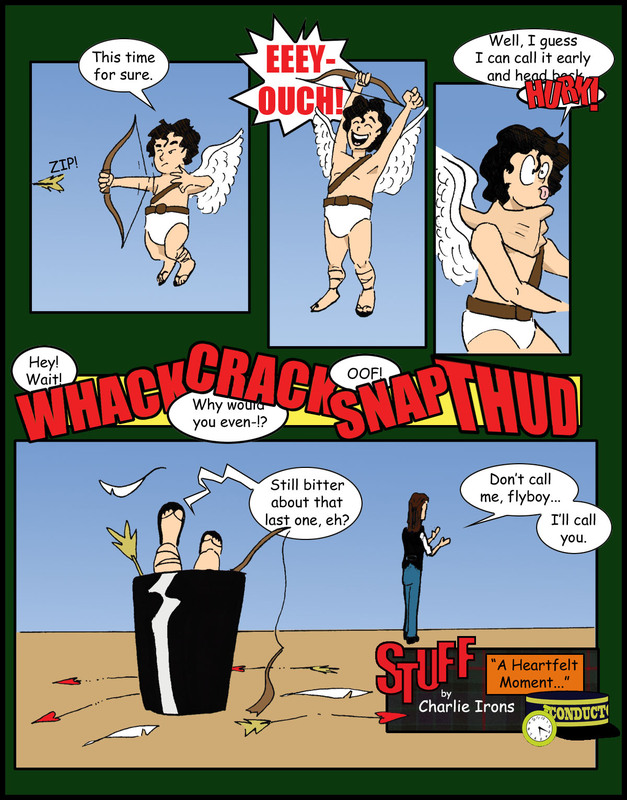 And Cupid’s had it no better. When he finally got married, his mortal wife was forbidden to look upon him; managed by the fact he only ever was home in the dead of night. Ah, but you know how these myths with women and “conditions” usually end up; badly. Historians will argue for the rest of history about how actually historical St. Valentine was, or was not. (Seriously, there’s like a dozen men with the name credited for all kinds of goodly acts.) And the actual mythological point of a “god of love” is probably lost, now, to a commercial Western World; what with his woes with women, and all. But one thing’s for sure… someone will always find a way to make a buck out of it, just the same. Welcome to St. Valentine’s Day. Or, as we’ve come to know it, the Hallmark holiday of forced affections. Best you be off to go score your last minute cheap, cliché gift or slip into that “special something” you’d not normally be caught dead in the other 364 days of the year.